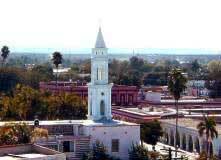 EL FUERTE: A small colonial town with cobblestone streets located about 50 miles east of Los Mochis, El Fuerte, “The Fort,” was founded in 1564 by Spanish Conquistador Don Francisco de Ibarra as a military post. For three hundred years it served as a trading post for gold and silver miners. CEROCAHUI: A small, peaceful farming village of about 600 residents, Cerocahui is located at an altitude of 5000 feet. 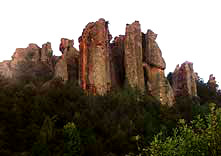 The valley is dotted with apple and peach orchards and is surrounded by the Sierra Madres. A narrow dirt road leads from Cerocahui down to the village of Urique in the bottom of the Urique Canyon. 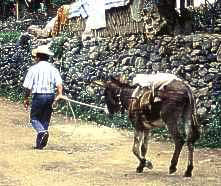 URIQUE: A small village at the bottom of the canyon, Urique was founded in 1690. 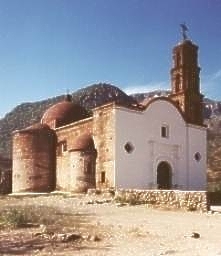 It remained isolated until it was connected by dirt road to Cerocahui in 1975. Gold mining is still conducted there on a small scale and the town serves as a county seat and economic center for this rugged and remote section of the mountains. EL DIVISADERO: “The View Point.” At an altitude of nearly 8,000 feet, this magnificent vista point overlooks a whole series of intertwined “barrancas” (canyons) with rivers deep in their bottoms. 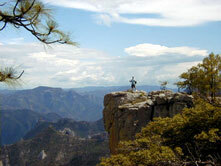 This is also the point where most visitors first encounter the remote and cave-dwelling Tarahumara Indians. 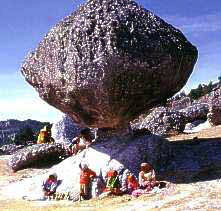 El Divisadero provides many photo opportunities and short hikes to local caves, a Tarahumara school, balancing rock, and several dramatic viewpoints. CREEL: Situated at an altitude of approximately 7,200 feet, Creel is a small lumber town located in the high Sierras close to Copper Canyon. At one point the terminus of the Chihuahua al Pacifico rail line, Creel is now the midway stopping and departure point for several Indian villages in the area. From Creel, many Tarahumara caves can be visited along with beautiful lakes, waterfalls, pine forests and strange rock formations. BATOPILAS: Located at the bottom of Copper Canyon, Batopilas, now a sleepy little village, was once one of the richest silver mining areas in the world. A visit to Batopilas is a step back in time. Cowboys ride their horses down its dirt streets while Indians pack their burros with supplies for their remote villages. On the outskirts of the town are the ruins of a Gothic mansion built in 1880 of adobe by Alexander Shepherd, an American entrepreneur and the last territorial governor of Washington D.C., and a 400-year-old Jesuit mission known as the “Lost Cathedral” of Satevo. CUAUHTEMOC: A modern Mexican city, Cuauhtemoc lies en route to the state capital of Chihuahua. Named after the mighty Aztec leader, Cuauhtemoc is now the home of several thousand Mennonites who came to the area shortly after the Mexican Revolution to farm lands which were formerly owned by William Randolph Hearst. The Mennonites live in a series of numbered “campos” just outside of the city and still preserve their traditional pious lifestyle. They are very prosperous farmers and market their crops throughout Mexico along with their famous cheese. CHIHUAHUA CITY: Capital of the state of Chihuahua, this large Mexican city is one of the most important cities in Northern Mexico. 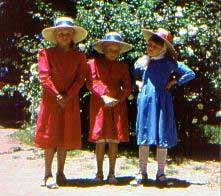 During both the War for Independence and the Mexican Revolution, Chihuahua was an important center of activity. Father Miguel Hidalgo, champion of Mexico's Independence, was executed in what now serves as the government palace. This was also the headquarters for famous leaders such as Benito Juarez and the Revolution's controversial hero, Pancho Villa. Here, visits can be made to several interesting sites, including the Chihuahua State Museum, the home of Pancho Villa and Museum of the Revolution, and the Chihuahua Cathedral, which took one hundred years to complete.